Grammy award winners Dua Lipa, Kasey Musgraves and Brandi Carlile applauded on Sunday (February 11) the number of women winners, performers and nominees at this year’s awards. British pop singer Dua Lip, who was named best new artist said she was honored so many women were nominated in her category. “It’s a change we hope to see for many years to come. It’s a big difference from the previous years,” she told reporters backstage after the show. Country artist Kacey Musgraves won album of the year for “Golden Hour.” She said both women artists and music industry executives should take responsibility for making women’s voices heard. “It takes women having the balls to put out art that might not always be liked by everyone, but it also takes people on the other side of that to reach out and give those things a chance to be heard or seen,” she said. Brandi Carlile, who won three awards in the Americana and Roots categories, said the past two decades had seen a ‘backslide’ from the female representation of the music industry in the 1990s. “To watch that backslide for the last 20 years has been heartbreaking. And tonight gives me hope as a mother of two young daughters,” she said. 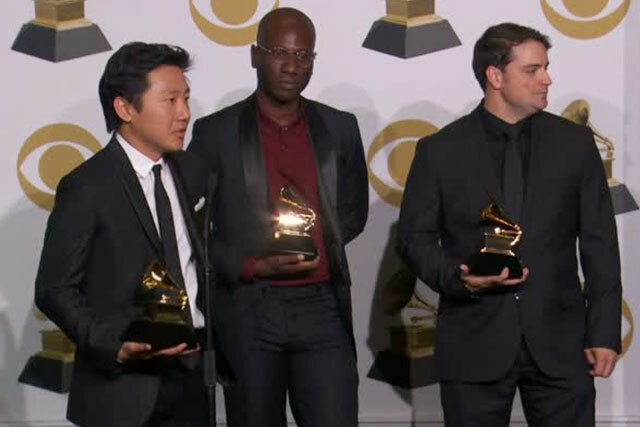 Director Hiro Murai won a Grammy Award for best music video on Sunday (February 10) for ‘This Is America’ along with the video’s star singer Childish Gambino aka actor Donald Glover, and producers Ibra Ake, Jason Cole and Fam Rothstein. The politically charged music video which was released in May 2018 touches on police brutality and racism. Filipino musicians dubbed as the legends of the ‘90s received a warm welcome from their fans when they landed in Dubai on Wednesday (December 26). 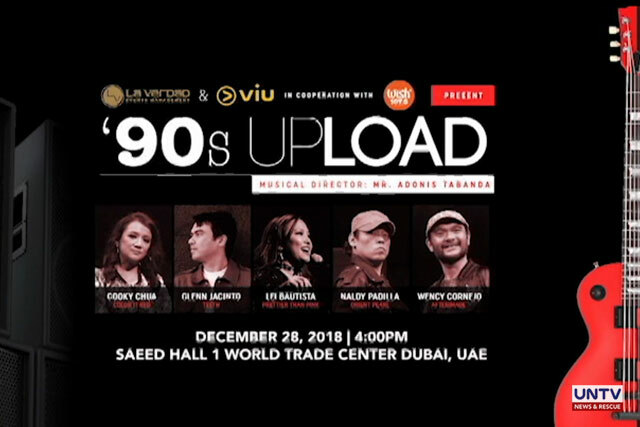 Singers Cookie Chua, Glenn Jacinto, Lei Bautista, Naldy Padilla and Wency Cornejo, who became popular in the ’90s, are in Dubai for their ‘90s Upload Concert set to be held on Friday (December 28). Music fans are ecstatic to see the said Filipino artists in person and even expressed excitement over the upcoming concert. “Exciting po sa darating na Upload ’90s Concert kasi po dekada nobenta yun kapanahunan po namin, panahon ng laro, anime, banda-banda, mga songhits, mga gita-gitara, mga cartoons …. 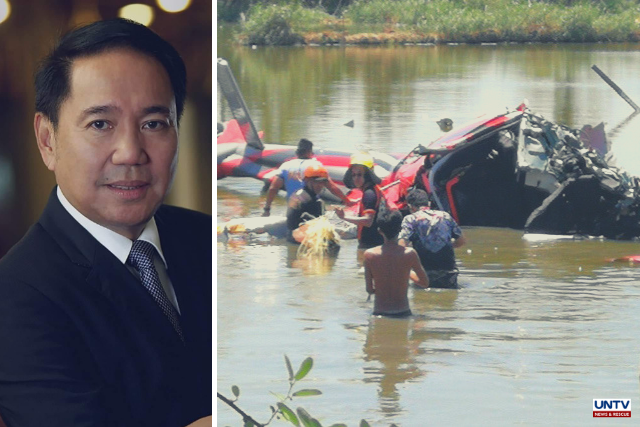 ganun po, mga idol na banda, dekada nobenta himig natin, yun po,” said Adrian Manlapaz, an OPM fan. “Since OFW ako so masarap sa OFW ung marinig mo ung mga old music. 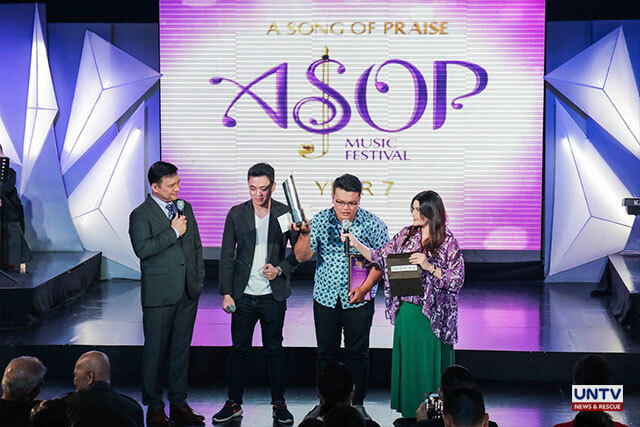 ‘Yan ung mga pang relax, yung time na pagod na pagod ka pero mapapakinggan mo yung mga Filipino artists na dadayo pa dito, pupunta pa dito, para kantahin nila mga songs na ineexpect natin na kakantahin nila ung mga ’90s songs,” said Rafael Agapito, also an OPM fan. The artists have expressed gratitude for the warm reception and vowed to make their fans feel the ’90s vibe with the music line up they prepared for the concert. “Sa lahat po ng manonood ng ’90s Upload maraming, maraming, maraming salamat sa inyo. Nahahalata niyo paos na o ako dahil ang biyahe naming ay napakatagal at napakahaba inintay pero kaming lahat na mga singers para sa ’90s Upload ay narito para sa inyo, dahil sa inyo. Sa aming show, expect niyo na lang, na rakrakan ng mga Pinoy icons tulad ni Naldy, ako, si Glenn, Cookie at si Lei, kita kita tayo dun,” said Wency Cornejo. “Yuyugyugin naming ang Dubai World Trade Center. Lahat kami mga rakista galing sa ’90s so kailangan nandun kayo kasi sobrang saya na aming mga inihanda para sa mga kababayan natin na nagtatrabaho ng maigi para sa mga pamilya nila sa Pilipinas. Excited na excited kami,” said Lei Bautista. The ‘90s Upload Concert in Dubai is produced by Wish 107.5 together with La Verdad Events Management and Viu. Wish 107.5 innvovator Kuya Daniel Razon, who is also in Dubai, invites all Filipinos to watch the concert and once again enjoy the sound of the ’90s. “We are inviting you all to see us in the ’90s concert. Yung mga sikat na mga artists nung ’90s and yung mga sounds ng mga nasa edad namin, punta po kayo and ini-invite namin kayong lahat… hope to see you, all of you there,” said Kuya Daniel. The ‘90s upload concert will be held at the Dubai World Trade Center Saeed Hall 1. 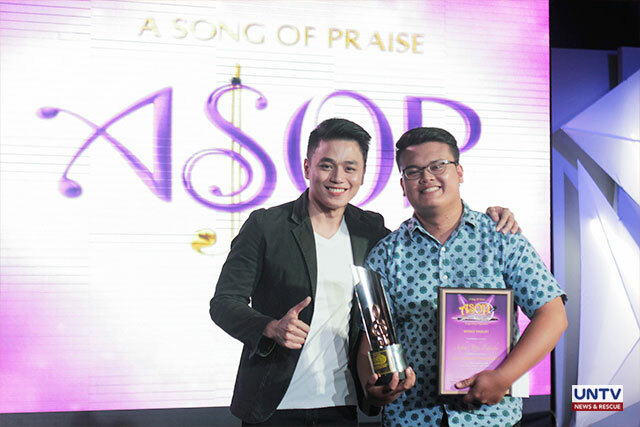 A 21-year old graphic designer’s passion for music has guided him toward joining A Song of Praise Music Festival Year 7— the only praise songwriting festival on Philippine television. 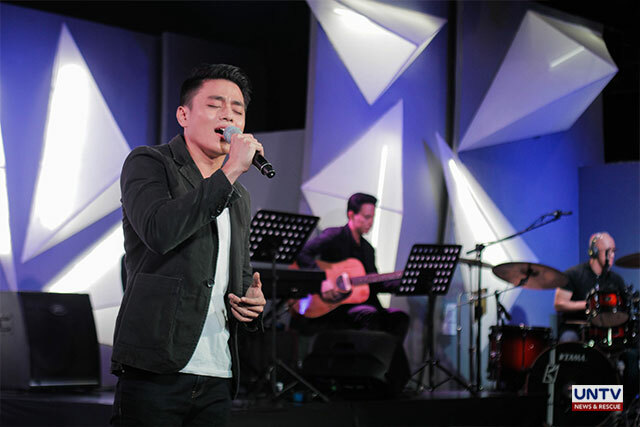 Arthur John Estrada’s original worship hymn, “Sa ‘Yo Lamang, Panginoon” has triumphed over the gospel collaboration of Trevis Marquez and Leo Calma’s “Mahal Kita Dahil Sa Kaniya” and Jonald Tolentino’s song entry “Pangarap” in the third September weekly elimination of the music festival. The winning Song of the Week was interpreted by Wishcovery Wishful Vien King. With its well-written lyrics, calming and soothing melody, the song expresses one’s praise and glory for the Lord for His loving kindness. “When I write praise songs, there is this feeling that breaks through your heart. Through that song, I am able to release that feeling… there is joy and fulfillment in my heart. That is what I gain from writing praise songs,” Estrada said when asked about his thoughts on songwriting. At the elimination round, his composition received positive comments from the board of judges. Grateful and humbled, the aspiring composer said he gives his success back to the Lord through his songs.